I have seen misery in many manifestations. When I worked in a psychiatric hospital in the late 1980s, I felt that there had to be a better way of helping the morbidly afraid, depressed, angry, and even psychotic patients than the containment and drugging that was the staple treatment. The sparse therapy that was available (and it really was so limited) all tried to help people change consciously, through sheer willpower. Or it encouraged minute analysis of unconscious motivations and disturbances that plagued these poor patients. Like trying to map every crevice of the ocean floor by looking over the side of a boat in a storm-swept sea. I hated it and always felt there had to be a better way. I left the hospital and learnt how to really help people. Yes, through psychotherapy I could work more effectively with the conscious mind. But, more importantly, I learnt clinical hypnosis. This, much to my own amazement, turned out to be the real missing part of the jigsaw, helping people make quite staggering changes. I don’t just use hypnosis with my psychotherapy clients because it is comfortable, can wonderfully amplify resources, and helps them feel so good – although all that helps, of course. I, and now thousands of other therapists, use it because the unconscious mind is the part of us that produces and maintains psychological problems in the first place. And this is why I say that we need to work with the unconscious mind when seeking to help people. I say this because it’s not the conscious mind that knows how to release insulin from the pancreas, produce a dream when we sleep, or heal scarred skin. It’s not the conscious mind that knows how to blush when we feel embarrassed. And we don’t consciously decide to have a flashback after we’ve been traumatized or to slide into a depression. We can’t consciously stop any of this – not easily, anyway. 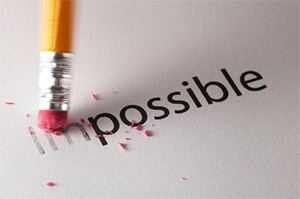 It’s within the unconscious, sometimes known as the subconscious, that real change happens. But why? I think all therapists, almost by definition, should be able to use inner work with their clients. And all inner work is to a greater or lesser degree, hypnotic. Contrary to popular belief, it’s actually easier to change feelings in order to naturally change damaging thoughts than the reverse (1). Partly because there are more connections leading up from the emotional parts of the brain to the ‘thinking’ neocortex brain than down in the other direction (2). The unconscious mind houses the vastness of all the stuff you know but don’t know you know. Scientists have estimated that every second our five senses take in eleven million pieces of information. But we can only consciously process about forty bits of information per second. So large parts of our experience are completely unknowable to us as far as conscious awareness is concerned. The sort of psychotherapy that tries to ‘make everything conscious’ misses the point that large parts of ourselves need to be unknowable and out of sight. We don’t need to be, nor can we be, conscious of every subliminal causal factor behind our behaviour. Yes, it can be vital to examine unconscious unhealthy assumptions, identify ‘cognitive biases’, recognize depressive thinking styles, and help clients challenge them (3). And I certainly do that alongside using deep, restorative, calm, and relaxing hypnosis to help people feel better fast. But when you use the mighty powerhouse of someone’s mind to help them through hypnosis, you don’t always know exactly what made the difference. So with that in mind here’s my list of three things I just couldn’t treat (or not nearly so effectively!) if I didn’t know how to use clinical hypnosis with my clients. This one is really a no-brainer for me. For the roughly 25% of people who develop PTSD after a traumatic incident, the only effective treatment might be a hypnotic technique. You see, PTSD is hypnotic and I’ll explain why. Talking about the trauma, even just trying to put what happened into words, can sometimes actually worsen a victim’s trauma by reactivating it in the brain and embedding it deeper. This is why so-called ‘critical incident debriefing’, where disaster survivors are encouraged to ‘talk it out’, can itself be a disaster for the 25% of people who remain severely traumatized after an event (4). If you know anything about hypnosis and/or trauma, then it will not surprise you to learn that, according to research published in The American Journal of Psychiatry, high hypnotizability (in about 25% of people) is correlated with a high risk of developing extreme and long-lasting PTSD and phobias (5). This is because PTSD and phobias are, essentially, natural hypnotic conditions. During a traumatic event, the mind becomes totally focussed, as if hypnotized. Because it is hypnotized. Hypnosis is the ultimate learning state. The mind can learn within milliseconds to respond to later ‘posthypnotic’ triggers (such as a backfiring car triggering a flashback in a war veteran or a spider triggering panic in an arachnophobe). Because hypnosis is natural, it happens naturally. Sometimes in a good way and sometimes in a terrible way. Thankfully, the same characteristic that makes people susceptible to PTSD and phobias is also what makes them so easy to treat, with hypnosis (6). So what else couldn’t I treat so effectively if I limited myself to working only with the conscious mind? When I worked on the psych ward, some of the patients were so depressed they would sit in the same position for many hours. They were glassy eyed, tranced out, completely inwardly focussed. They also manifested something else associated with the more traditional hypnotic trance: they would show signs of catalepsy. This is a kind of rigid immobility that is also evidenced when we dream at night (nature wants us immobile during dream sleep, so we don’t act out our dreams). Later, when I learned about hypnosis and also more about depression, I understood that depression can be described as a kind of internally focussed negative trance state. Depressed people always have higher than normal levels of the stress hormone cortisol in their bloodstreams (7). Cortisol inhibits clear thinking. This is why trying to do cognitive therapy with a clinically depressed person before they have relaxed deeply (and so lowered their cortisol levels) may be like trying to open your front door before putting your key in the lock. I use hypnosis not ‘just’ to deeply relax my depressed clients, lower cortisol levels, and help them gain instant relief, but also to help de-traumatize them if need be. And I use it to get them to mentally rehearse engaging in healthy behaviours and thinking patterns so they can feel fully connected to their internal resources and begin to live a life that better meets their primal human needs. I have used hypnosis to help unhook the pathological narrow focus of all kinds of addictive trance states, from the 80-a-day smoker to the people feeling unable to escape the grip of heroin, cocaine, or alcohol, as well as sexual addictions and other compulsions. Addiction rides on the back of the brain’s clever learning mechanism. Whenever we learn and master anything new, our brains reward us with a dopamine release – a dose of ‘feel good’ for our efforts. So my attention is locked and narrowed by learning a new piece on the guitar and when I master that piece I get a burst of feel good hormone. But it doesn’t last long, so in order to carry on feeling good, I have to learn more and more. Once we’ve mastered what we are learning, the brain turns down the reward feeling. I become habituated to the piece of music – I can play it while thinking what to have for lunch. I need more and more satisfactions. This (highly useful) mechanism is hijacked by addictions such as, for example, when we cheat the reward system by consuming chemicals, of which we need more and more to get our ‘fix’. When an addict really needs their next (and greater) fix, nothing else seems to matter. Their attention becomes pinpointed onto the drink, cigarette, extravagant purchase, or shot of heroin. We can help unhook the negative trance state of addiction by using therapeutic trances with our dependent clients and also use hypnosis to help them gain the self-confidence to engage in healthier life goals and habits. 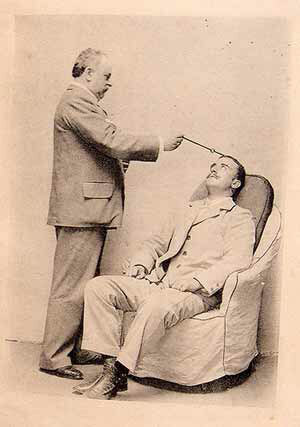 Hypnosis is not, of course, a therapy in itself. But it is the most powerful way of delivering therapy. Paradoxically, natural hypnotic trance is both the cause and maintainer of problem states and is also the best way to alleviate them. Because when we are hypnotized, we learn deeply. Whether that learning is destructive or constructive makes all the difference. When you know how, you can skilfully use the right kind of hypnosis to help cure someone of debilitating flashbacks and nightmares, unhook the automatic need to drink or smoke, or just help someone relax deeply enough that they have a chance to regain some perspective. I for one am exceedingly grateful I learned how to do hypnotherapy early in my career. And I suspect quite a few of my clients are too. See: The APET Model: Emotions come first. See: The Emotional Brain: The Mysterious Underpinnings of Emotional Life by professor of neuroscience and psychology Joseph E. Le Doux (Weidenfeld & Nicholson, London 1999). Rose S, Bisson J, Churchill R, Wessely S. Psychological debriefing for preventing posttraumatic stress disorder (PTSD). Cochrane Database Syst Rev. 2002;(2):CD000560. Spiegel, D, Detrick, D, and Frischholz, E.J (1982) Hypnotizability and psychopathology. The American Journal of Psychiatry, 139, 431-437. Nemeroff, C. B. (1998) The neurobiology of depression. Scientific American, 278, 6, 28–35. Other reference: Depression and dreams. Psychology Today.